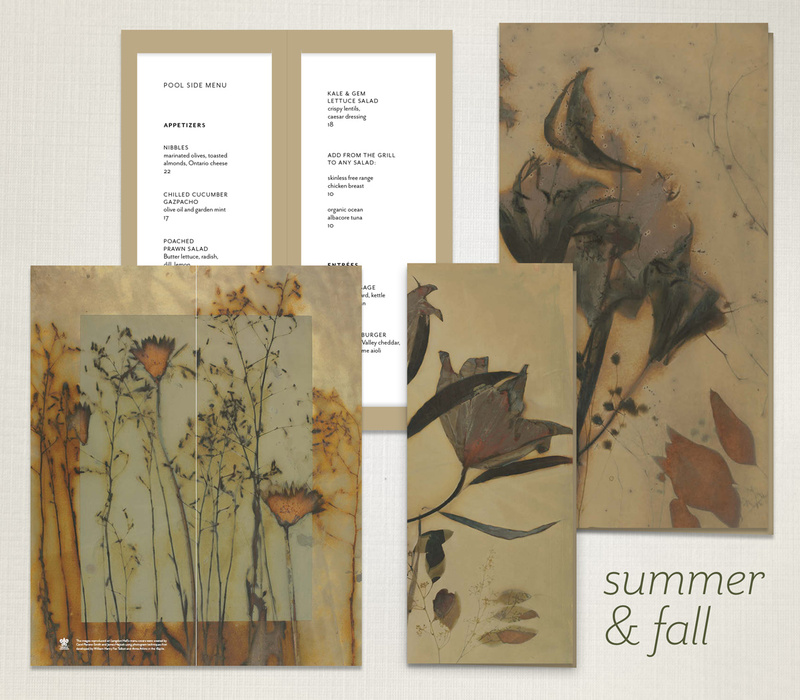 Punch & Judy designed menus for Langdon Hall, the venerable country house hotel in Cambridge, Ontario. 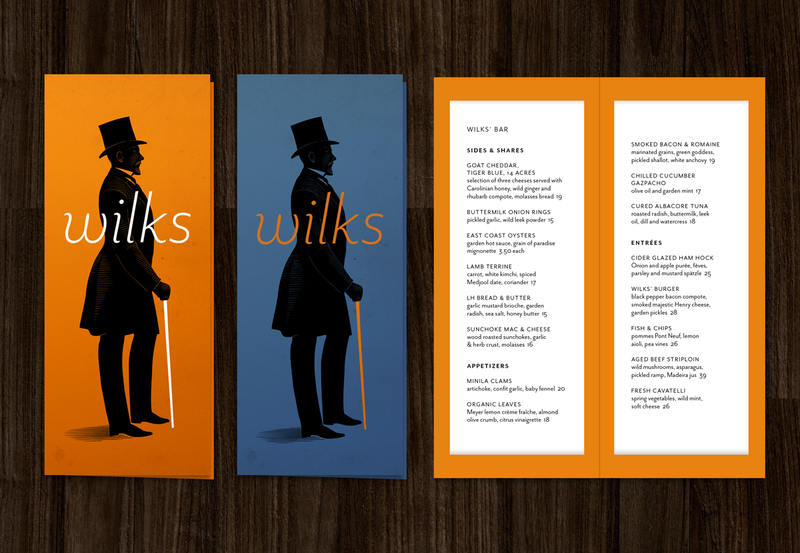 The assignment was really to consolidate and rebrand a range of over 30 existing menus — lunches, brunches, high tea, and dinner in the formal restaurant and more casual Wilks Bar, menus for room service, spa, pool, special catering events, and an extensive wine list. Bill Bennett, architect and the proprietor of Langdon Hall, liked Scott’s idea of using photograms — silhouette images from the earliest days of photography — as a visual connection to the English country house hotel tradition. William Henry Fox Talbot’s botanical images are snapshots of the plants growing in his garden in the early 1840s. 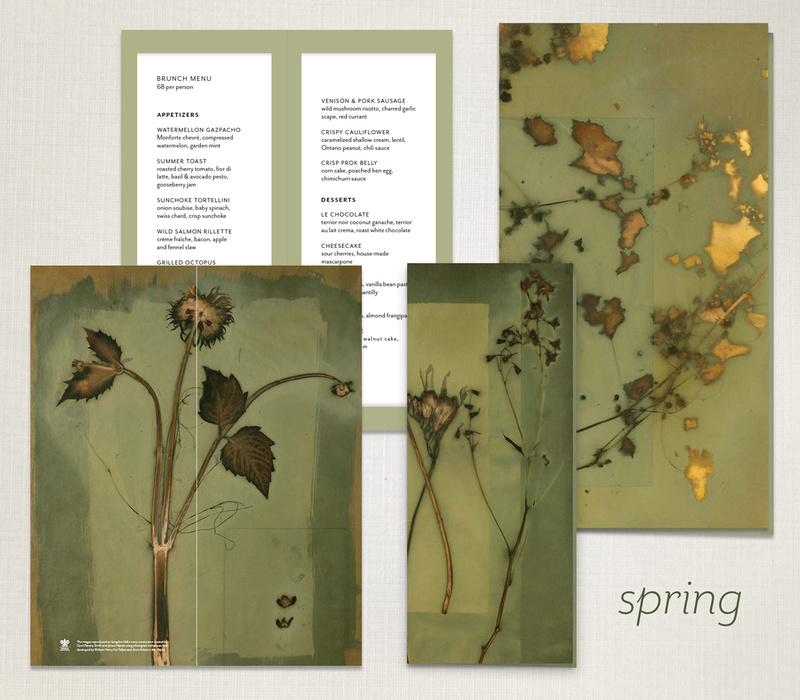 Scott did some further picture research and came upon the work of James Hajicek and Carol Panaro-Smith, photographers in Arizona using exactly the same photogram process to create extraordinary botanical images in full color. 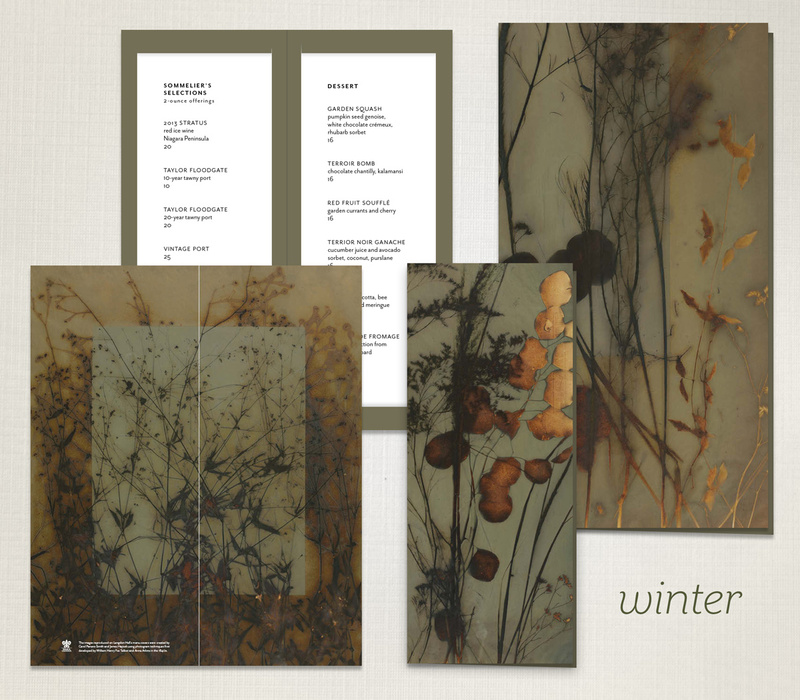 Scott designed a series of menu covers featuring Hajicek and Panaro-Smith's photographs — a suite of six covers for each season, for variety. Allysha Witt designed the interior pages and created a system that allows frequent menu updates to be typeset and printed in house.